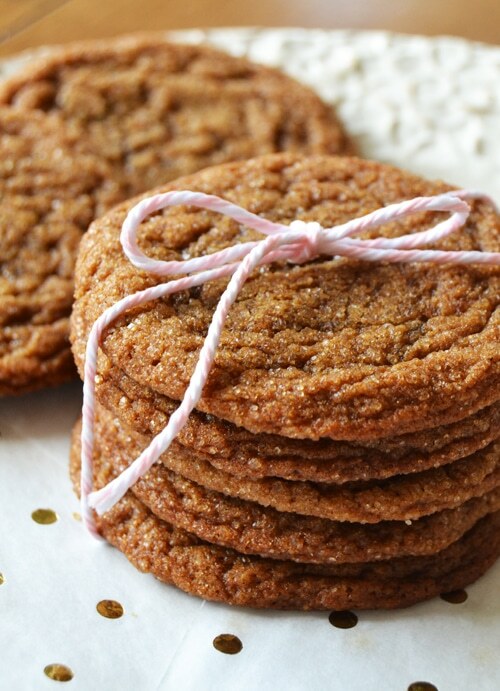 I absolutely love soft ginger molasses cookies. Last year I made these soft cut-out gingerbread cookies, loved those! 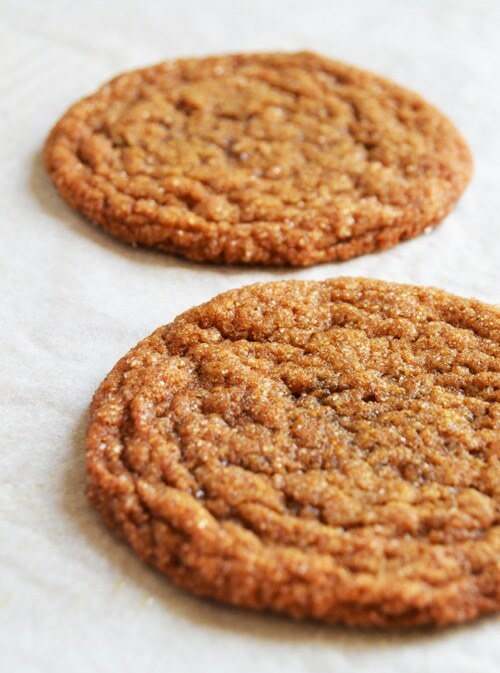 The combination of ginger and molasses says Christmas baking to me even more than a good sugar cookie! The recipe I had used for soft molasses cookies wasn’t quite what I wanted anymore. The cookies were far too thin and crispy. I went to work this year to develop a thicker, softer cookie. I was so happy with the results! 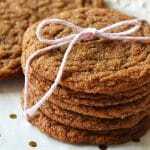 These soft ginger molasses cookies have a rich buttery molasses flavor, are slightly crisp on the edge, but have a soft and chewy center. Loved them. And so did my girls. There is one step with this recipe you cannot skip, though it is tempting. Chill the dough. Not just for 20 minutes either, 6 hours or more is best. The dough will chill to the perfect consistency to yield thicker cookies, and the flavors will have a chance to blend and develop. It’s so worth it! In fact, this dough keeps very well in the refrigerator for a couple of days if you want a good head start to baking day. Soft cookie tip: The best way to bake soft cookies is to remove them from the oven when the edges are firm and “dry”, but the middles of the cookies are slightly “wet” in appearance. Remove the pan from the oven, and let the cookies rest on the pan for 3-5 minutes. The centers will continue to cook so they aren’t doughy, but will remain soft. In a mixer with cookie paddles, combine the butter, sugar, molasses, eggs and vanilla. Beat until creamy. Mix together the flour, salt, soda and spices. Add flour mixture to the batter, mix just until combined. Chill for 6 hours or overnight (overnight is best!) 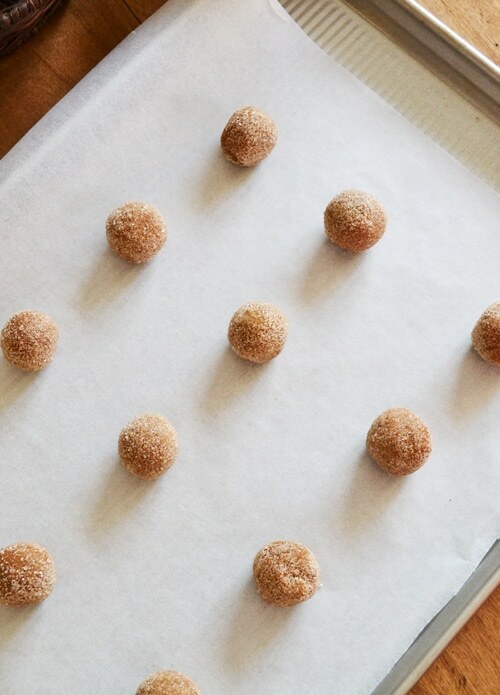 Roll large tablespoons of chilled cookie dough in cinnamon sugar. 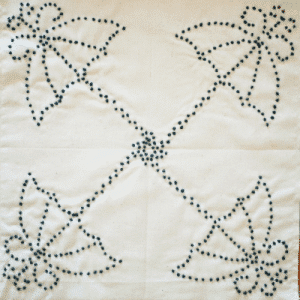 Place 2 inches apart on a baking sheet lined with parchment paper. Bake at 350 degrees for 8-10 minutes until edges are firm, but middles are still soft and a little “wet” in appearance. 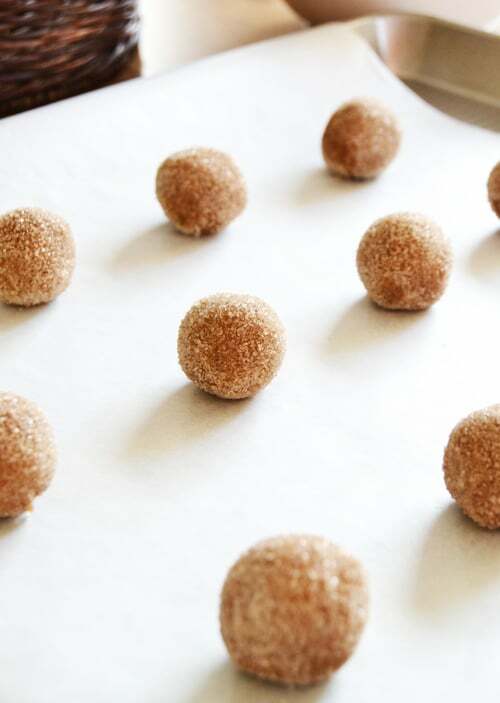 Remove pan from the oven and let cookies rest for 3-5 minutes on the pan. Finish cooling cookies on a rack. These look delicious! Any suggestions for high elevation bakers? I’ve lived above 6000 feet and have yet to learn how to bake cookies like I did growing up at sea level. Well, I would look up recipes for high elevation. It’s been trial and error for us at 7200ft. Jams, candies, we’ve had our share of rubber treats 😀 So whatever you are experimenting with, google that exact recipe for high level. These look delicious. 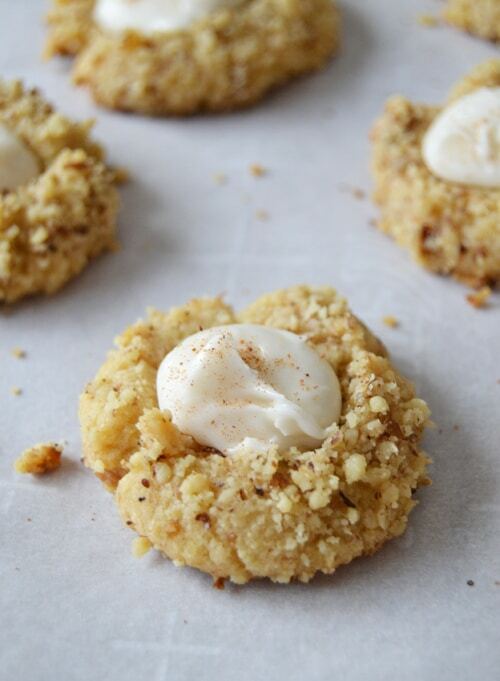 I have some molasses in my pantry that I need to use up and I think some of my family would like these! I like that the dough can be made ahead and then used at a later time in the day, or even the next day, which is handy if there’s an extra busy day in progress. Thank you!